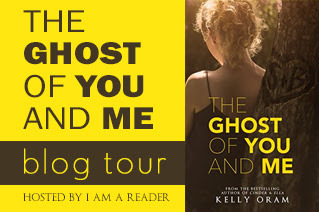 The Ghost of You and Me by Kelly Oram. Audience/Genre: Young Adult, Paranmormal, Clean Read. Publication: June 20th 2017 by Bluefields. I gotta say, I was so falling for Wes from the beginning. From when they were kids, there was something that made me choose him. It was probably the fact that Bailey got to kiss Spencer first (when they were smaller kids and with spin the bottle) and I wanted the underdog. Although underdog is probably not accurate. Wes was the better looking of the two of them and not as geeky as his best friend Spencer. As the book moves forward, my heart went to him more and more! Spencer was full of happiness in the afterlife. He loved his friends and he came back to help his friend, Wes. We don’t have all the information of what happened that night of his death. Little by little that information comes out to give the full picture of what happened. And it will break your heart when it all comes out! You are also given that something is wrong with Wes, but you don’t know what. Bailey has been in a “coma” for a year since Spencer’s death. Just barely living. Everyone has tiptoed around her. When Spencer shows up, she listens to him and is happy that he is there even though he is non corporeal. 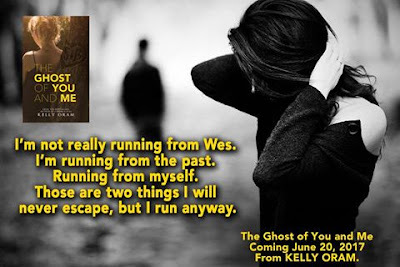 He tells her he is here to help Wes. He wants Bailey to be there for Wes. She tries but he seems very agitated around her. They end up together on an internship at the hospital for school. At times, he is nice. At other times, he is agitated and it is driving Bailey crazy. She thinks it’s hopeless. Spencer gives her things to do for Wes that he won’t reveal what they mean. When her so called “friends” yell at her and dump her because of the way she is not interacting and seemingly selfishness, she wakes up. She finds a new friend and her sister’s relationship is improving. But the agony of my heart watching Wes’s life doesn’t get better until the very end. Bailey didn’t seem self absorbing to me. She just dealt with the death as best as a teenager could. Wes was homeschooled so we don’t see much of him except for flashbacks and when they are together. He was an enigma to me. I wasn’t sure how life was for him until towards the end and then I started crying with his life as we were given it! I wanted Bailey to push harder to be there more for him but he certainly didn’t make it easy for her. Overall, I loved this story. I loved what Spencer did for both of them! I loved the characters! I loved Bailey’s family and Wes’s mom! I absolutely loved the ending! 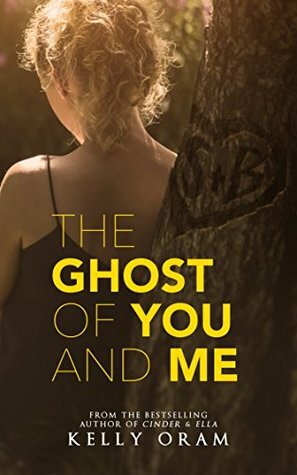 If you like stories of the afterlife, love, stupid teenagers, true friends, dying, dances, band, buses, and matchmakers then this might be for you! 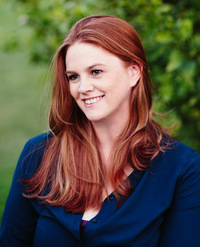 elly Oram wrote her first novel at age fifteen–a fan fiction about her favorite music group, The Backstreet Boys, for which her family and friends still tease her. She’s obsessed with reading, talks way too much, and likes to eat frosting by the spoonful. She lives outside of Phoenix, Arizona with her husband, four children, and her cat, Mr. Darcy.